There’s definitely a novel to be written about Hong Kong’s outlying islands. Of course I would say that, wouldn’t I? While it’s tempting – for me at least – to play on the men-as-islands metaphor, that risks distracting from the very real characters who live, or once lived, around these parts – individuals far too vivid in reality to be converted into vessels of authorial whimsy. 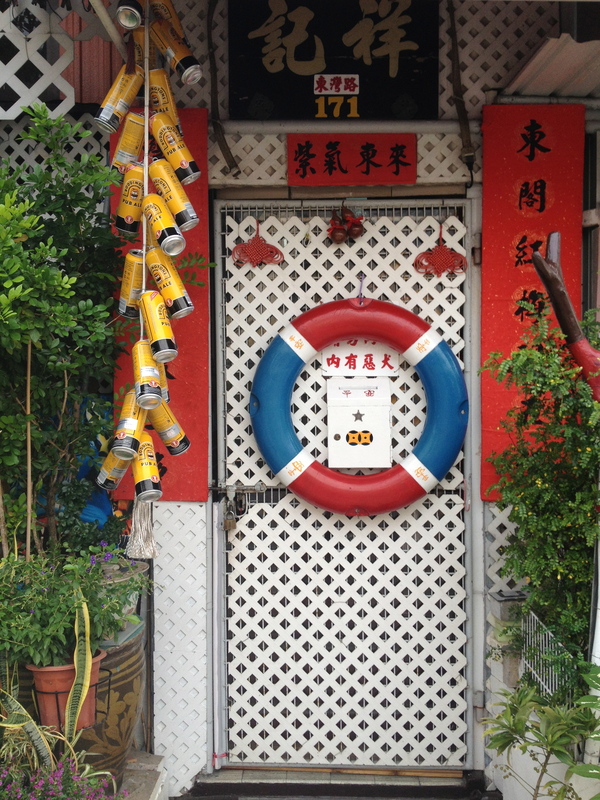 Some of these determinedly eccentric men and women made their home The Sea Ranch, a once-decadent beachside housing complex situated on a secluded part of Lantau Island, and accessible from Cheung Chau via a residents-only chugboat. This charming short film by Piotr Zembrowski sheds light on what it was like to live at The Sea Ranch during its glory days when yachts danced on a glittering sea and champagne glasses twinkled on broad-brimmed balconies ahead of evening naughtiness. It’s a near-perfect bittersweet tale of Bacchanalian privilege, Ballardian decline, snobbery, reverse snobbery, and the love we can invest in our manmade environment when it segues so successfully with nature and memory. Why spoil a good story by making it fiction? 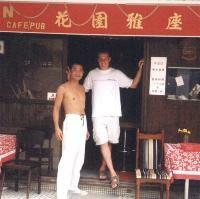 Back on Cheung Chau, The Garden is one of two pubs to be found on the short stretch between ferry pier and main beach. The newer hostelry is Austrian and offers extra-strong beer to Chinese tourists wanting some bang with their bratwurst. While the bierkeller expands at a rate unrivalled by anything on CC bar the pipeline-in-progress near the pig slaughterhouse (another, darker novel is buried there perhaps), The Garden appears pretty much the same as it does in this aged photo from Travel Head’s blog. What I find most intriguing about these slightly scrambled old school blog entries is the story of The Garden’s former landlord Joe. According to a friend who regularly delivered his magazine to the bar some years ago, Joe was an aspiring B-movie actor and ferocious drinker who passed away aged around 40. Although many of us are drawn to those with larger-than-usual appetites, drinking tales often lose their appeal when we find out the habit helped cut short the life of the participant. However, I think this extract from Travel Head’s blog is worth reading, if only to illustrate that even if Joe’s actions were exaggerated by booze he was often impassioned for a worthwhile reason. The Garden Pub had an outdoor area right across the walkway, so we all hung out there. Intermittently, we’d hear Joe yelling or smashing things. He was rather upset, as it was the 10-year anniversary of the Tiennamein [sic] square massacre on June 4th. So every now and then, he’d break in to a rage about it, and then calm down. You had to let him calm down on his own. If we tried to talk to him, he’d say that not being Chinese, we didn’t understand, and I guess he was right. Although we knew of the injustices that took place, perhaps it had a much deeper meaning for him. Although I’m sure a lot of it was the alcohol talking as well. 30. Who would live in a house like this? My money’s on Manchester pop culture pundit and resolutely non-renaissance man Terry Christian having moved to the island. That’s The Word on the street anyway. As for the beer, I always loved the malty smell of the Boddingtons brewery whenever I passed Strangeways in Manchester but the ale itself is too smooth for my taste. A bit like Terry himself?